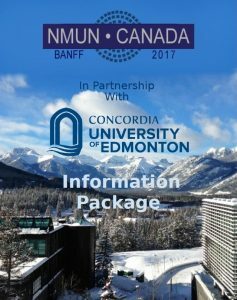 The National Model United Nations (NMUN) conference is coming to Banff during the week of November 20, in partnership with Concordia University of Edmonton. It’s the first time the conference has been held in Canada! 200 student delegates from around the world will be in attendance! Did you know its a year of firsts for our Model UN Club…? Invitation to the Media – Join us! NMUN is the world’s largest intercollegiate Model UN conference, with participants from 130 UN member states and 430 universities and colleges worldwide. NMUN provides post-secondary students with cooperative, hands-on, experiential learning, tackling a range of serious issues and topics, preparing them to become better global citizens and international leaders. With Canada’s 150th birthday, it’s relationship with Indigenous Peoples and the diversity of Canada at the forefront, the conference features an impressive list of speakers, hard-hitting global topics, and cultural components and performances. 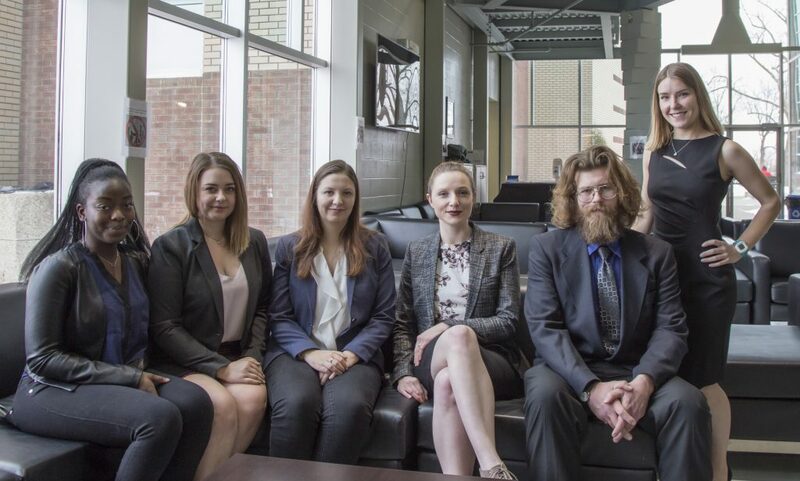 Concordia’s Model United Nations Club will be sending six students to the conference. They will be representing the Republic of Senegal and will have students defending issues on the committees of the General Assembly (GA), the United Nations Environmental Assembly (UNEA), and the Security Council (SC). Concordia is proud to be sponsoring and hosting this historic NMUN conference. We are also grateful for the collaborative efforts with our Indigenous partners and other Edmonton post-secondary institutions in the organization of this momentous conference. Follow the hashtag #NUMNCanada 2017, as well as #ConcordiaYEG. Further information about the conference can be found in this information package and on the NMUN Canada website. More information about Concordia’s Model United Nations Club can be found on the CSA’s website.